Foto Factory offers a Black and White as well as Colour printing and photocopying service. 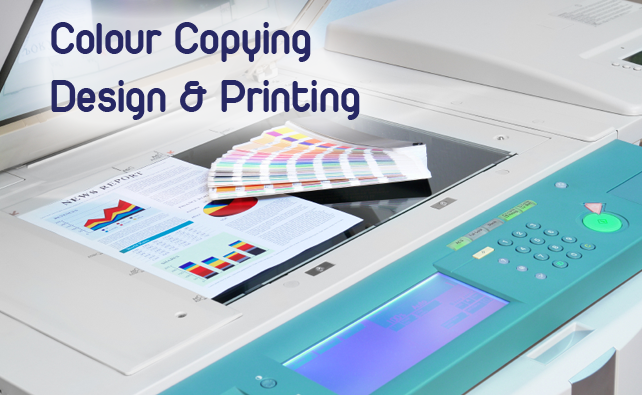 We have a Konica Minolta photocopier which is capable of printing up to A3 size, including double sided printing. You can bring your files on a USB stick or a CD or send it to us via email and we can print your documents for you whilst you wait! Visit Foto Factory Bromsgrove in the High Street for all your printing needs! The design team at our store in Bromsgrove are highly skilled graphic designers, with years of experience in design and printing. When you visit us, our experienced designers will help you create bespoke graphics for a whole range of printed materials including business cards, T-shirts, stationery and letterheads etc. Our graphic design and printing services are perfect for a small business looking to design a new logo to large corporate business looking to design their annual report. The quality of our design and print work is second to none in Bromsgrove so you don’t need to worry; we have exceptionally high standards! So, if you have a design or print need, feel free to pop by.